A London patient has become the second known man worldwide to be cleared of AIDS virus after receiving a bone marrow transplant from an HIV resistant donor, according to his doctor. 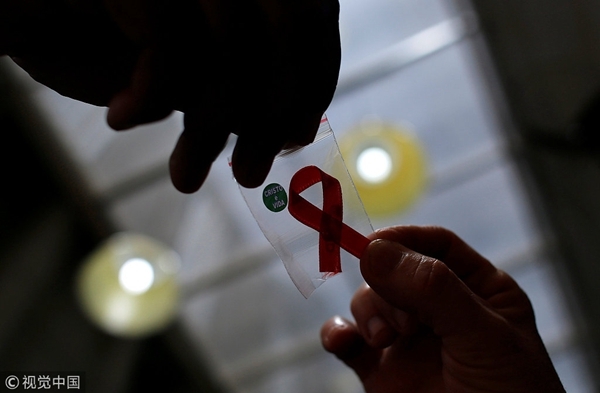 The patient has shown no trace of previous HIV infection since he underwent the transplant operation three years ago. "There is no virus there that we can measure. We can't detect anything," said Ravindra Gupta, a professor and HIV biologist who co-led a team of doctors treating the man. However, Gupta described his patient as "functionally cured" and "in remission," rather than "cured." "It's too early to say he's cured," he said. The first known patient to be functionally cured of HIV is an American man, Timothy Brown, who also underwent similar treatment in Germany in 2007. Both patients received bone marrow stem cells from donors with a rare genetic mutation known as "CCR5 delta 32," which confers resistance to HIV. Between Brown and the new London patient, scientists made several attempts to cure other AIDS patients using the same method, but failed in all of them. Gupta said the method used is not appropriate for all patients but offers hope for new treatment strategies. The study is to be published Tuesday in the journal Nature. As of 2017, there were approximately 36.9 million people worldwide living with HIV/AIDS. AIDS-related deaths have been reduced by more than 51 percent since the peak in 2004, according to the Joint United Nations programe on HIV/AIDS.